Intimus 529 PET Master Shredder is one of the most innovative products for modern day waste management departments. It is essentially a baler that compresses waste materials like PET bottles and tin cans to much more manageable volumes. This is a great facility for its users since these are categories of waste that are mass produced and needs a proper disposal system in place to handle them. Moreover, these materials are recyclable and with them compressed to low volumes, they are much convenient to handle for recycling departments. Intimus 592 PET is equipped with a durable motor that drives it compaction mechanism. The throughput for both materials is amazing: 245 Kg/hour for PET bottles and an impressive 300 Kg/hour for tin cans. With this capability, industries can establish efficient work routines and save money and effort. This plastic bottle/can shredder is designed to be easy to use for operators and has been fitted with technologies and components that aid in smooth functioning. It features a hopper as part of its feed unit which enables quicker and comfortable feeding. A push button keypad is also part of the design to offer users with a user friendly platform to operate it. There is a main switch to turn it on/off. 529 PET has a reversing option as well for times when a jam occurs in it. If such a situation is encountered, operators can simply use the reverse button on the keypad to reverse the motor’s motion and clear the jam within seconds. 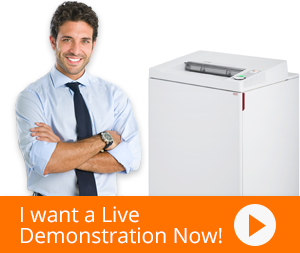 Finally, this shredder has a waste collection bin with an ample capacity of 63 gallons. This holds all waste until it is ready to be transported to the recycling site.